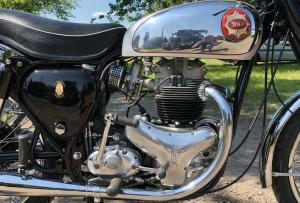 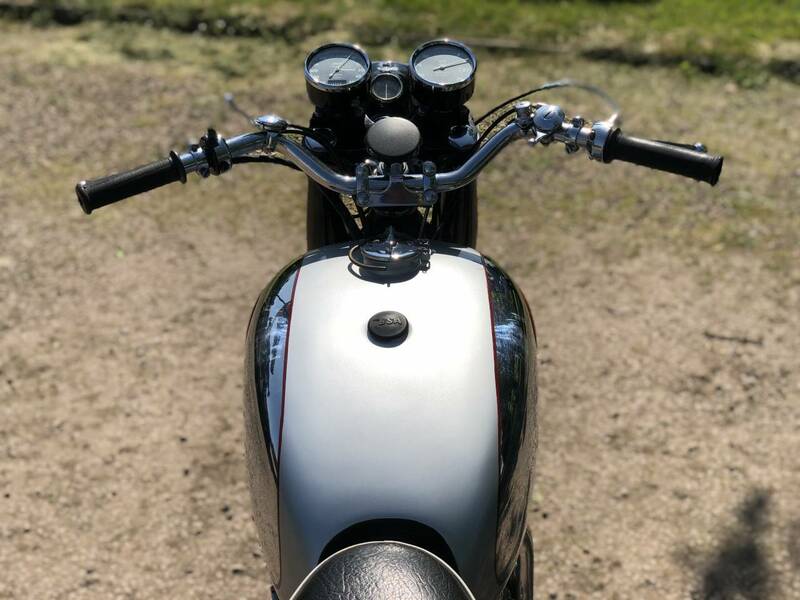 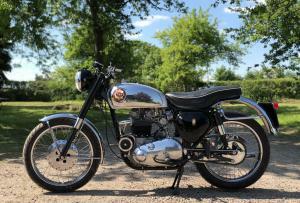 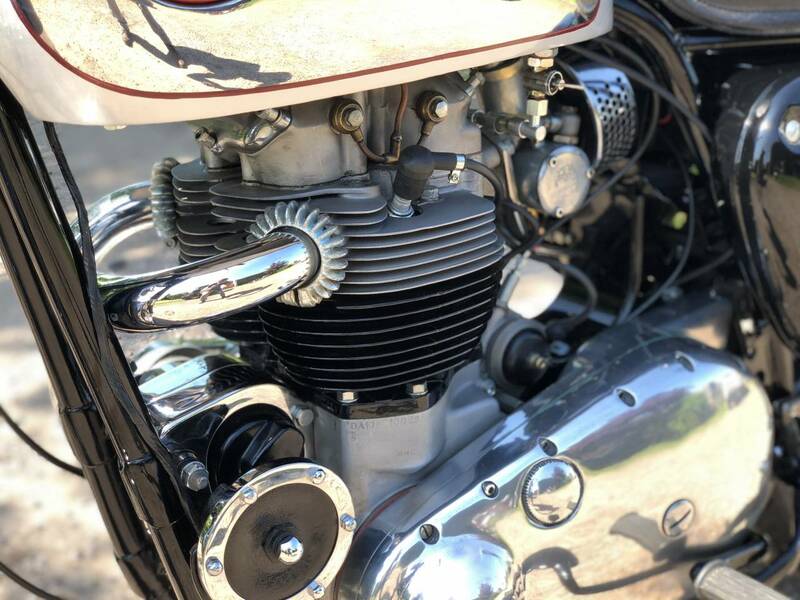 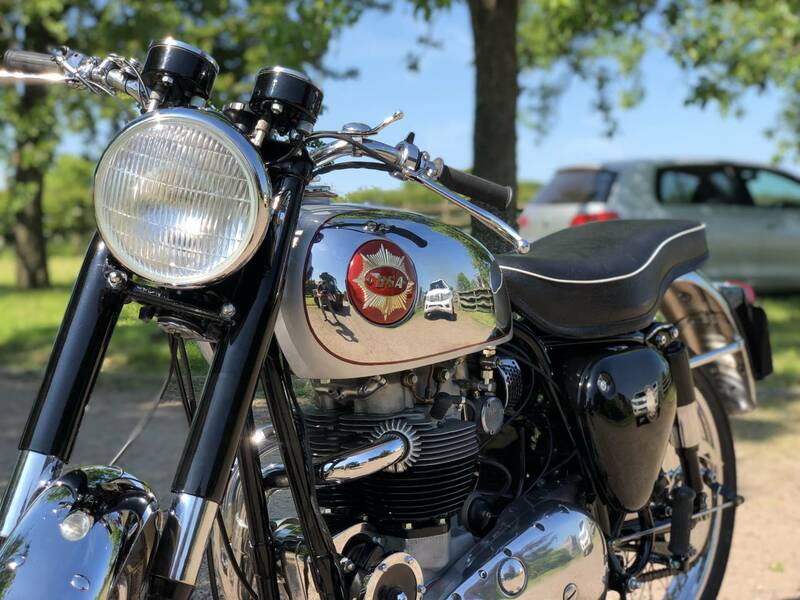 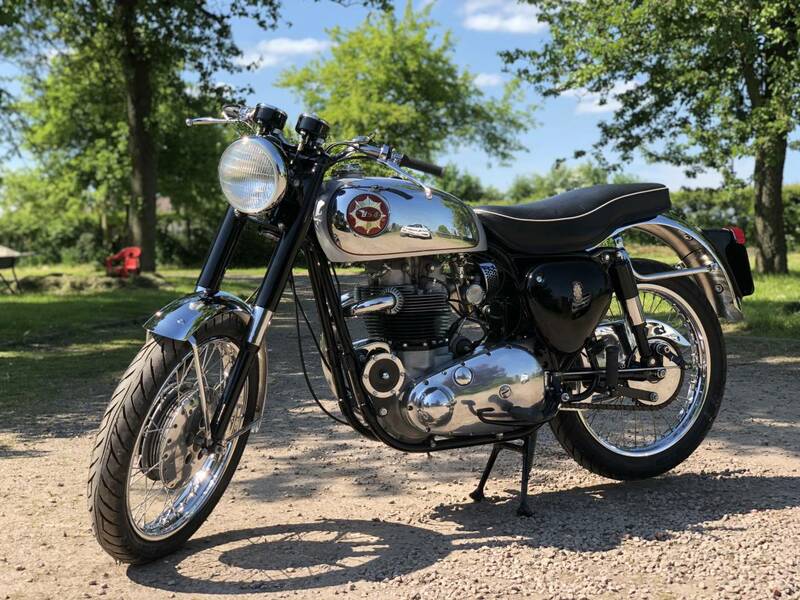 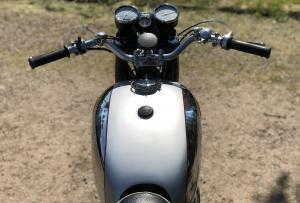 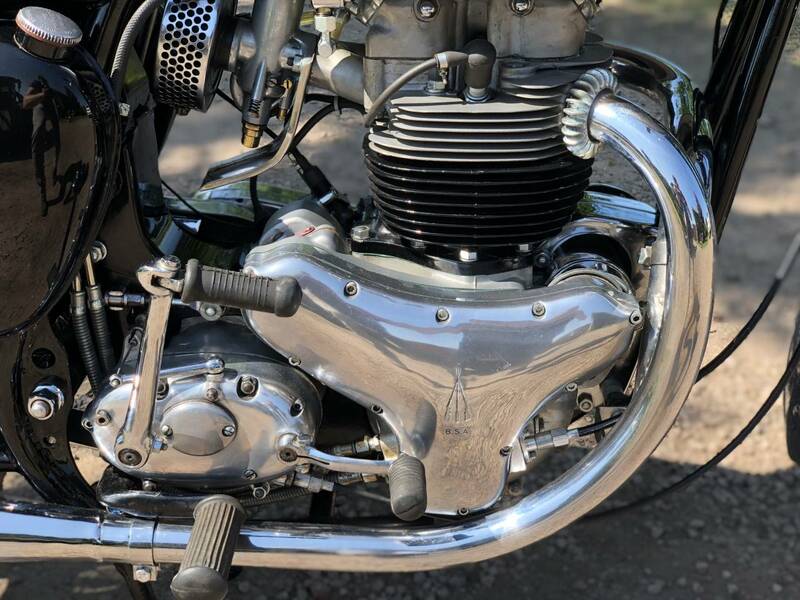 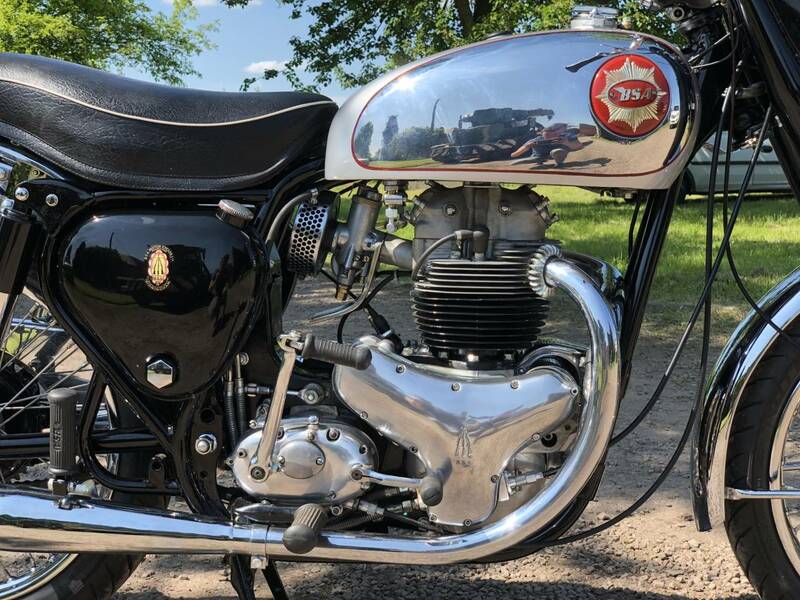 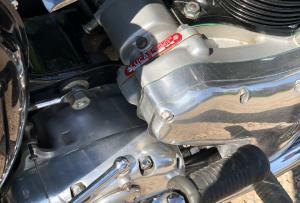 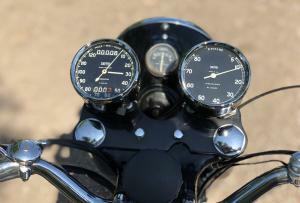 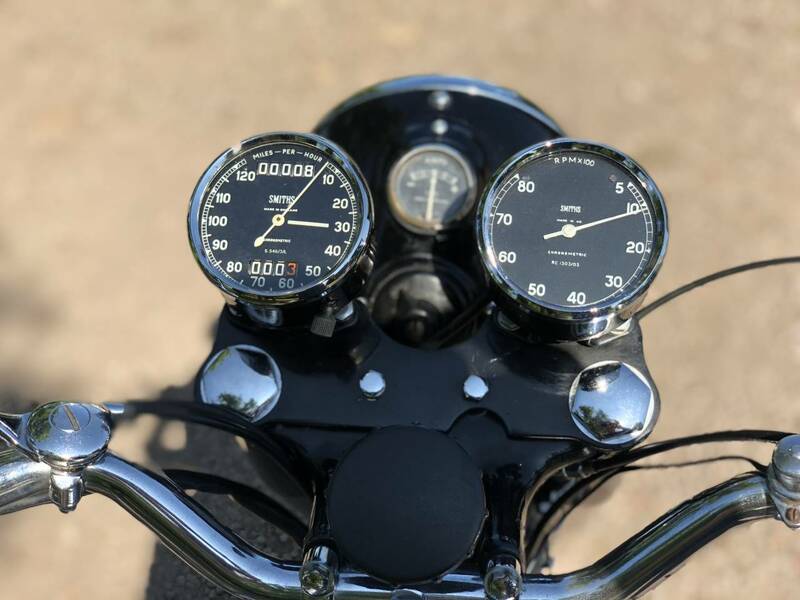 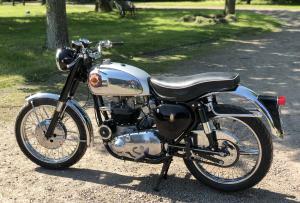 BSA RGS Replica 1962 650cc. 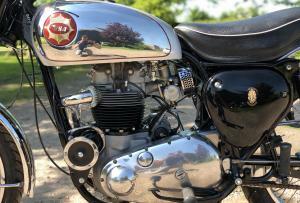 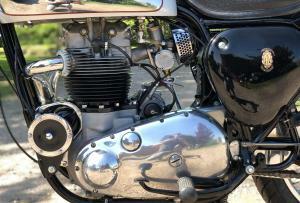 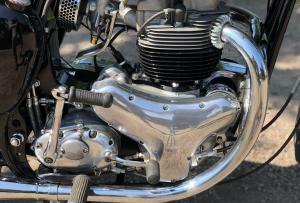 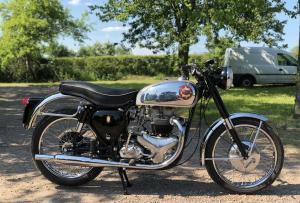 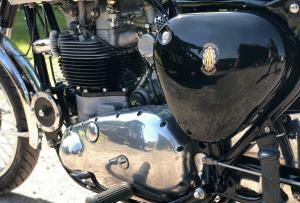 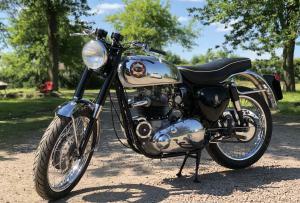 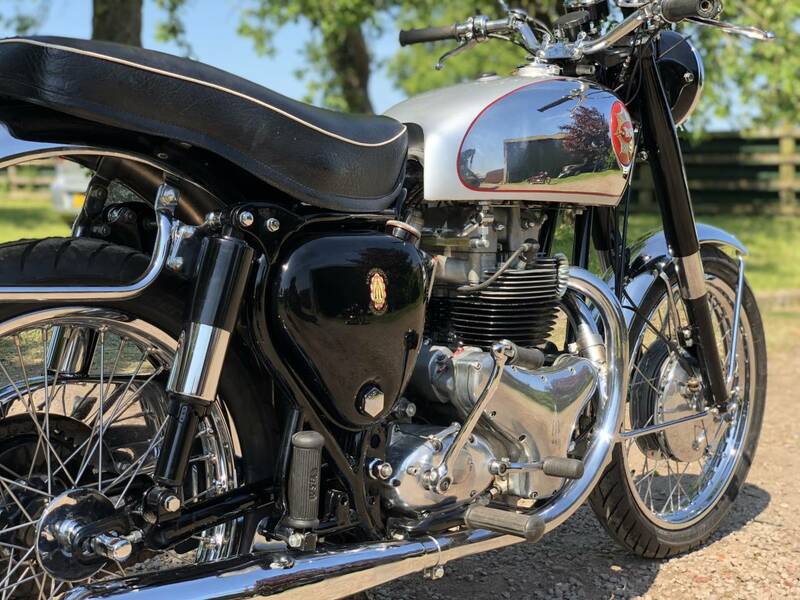 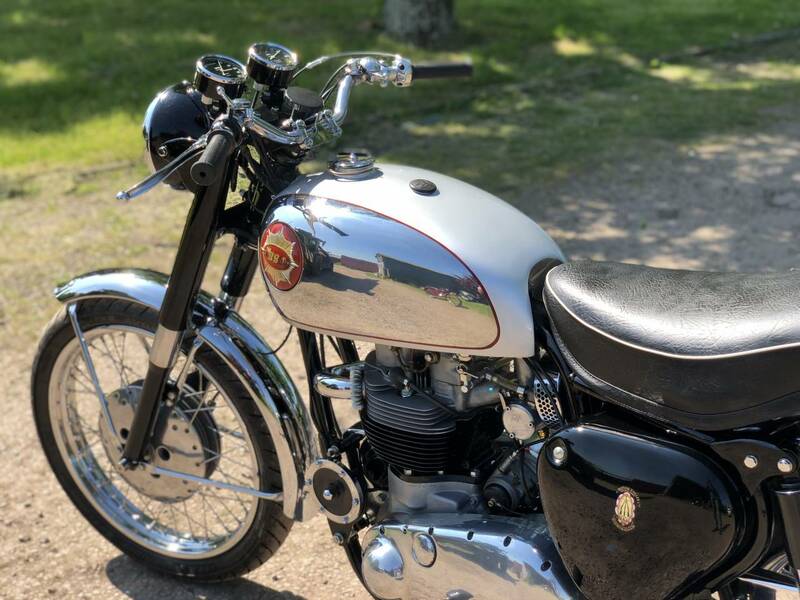 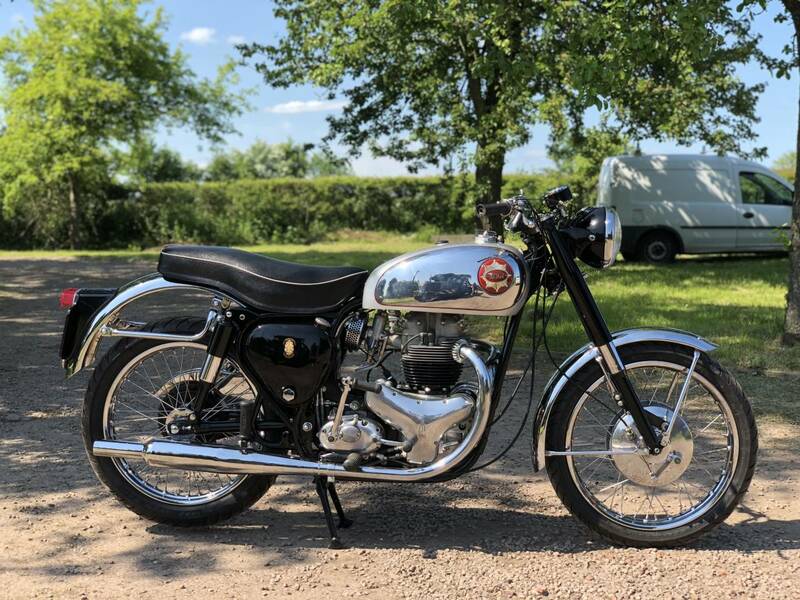 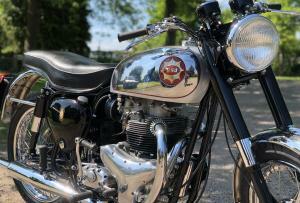 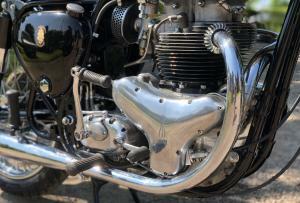 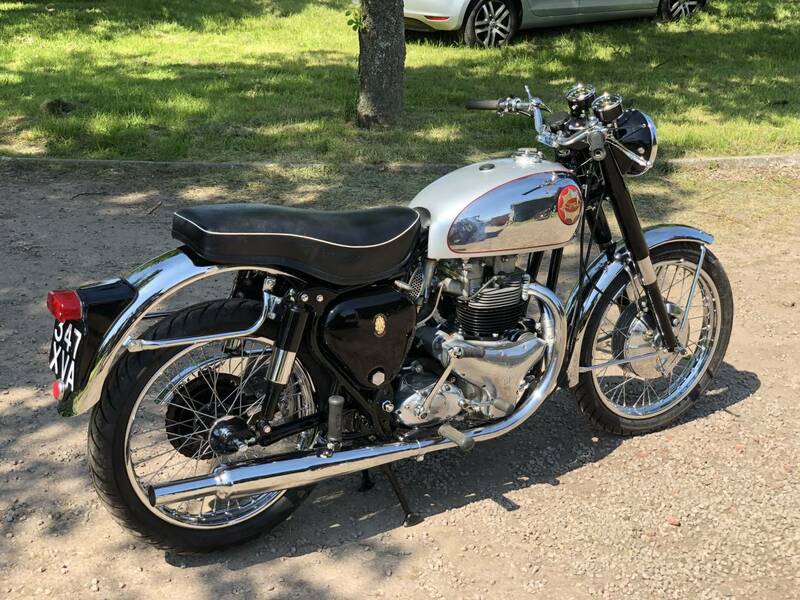 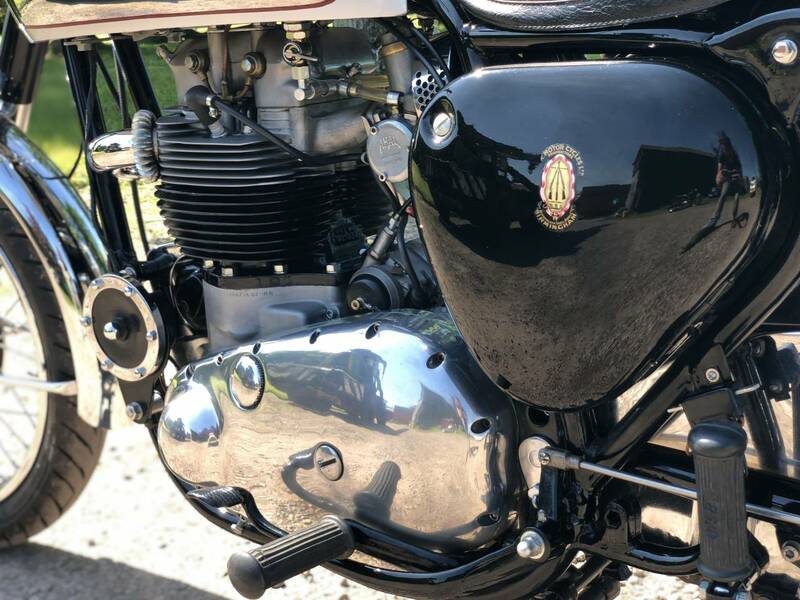 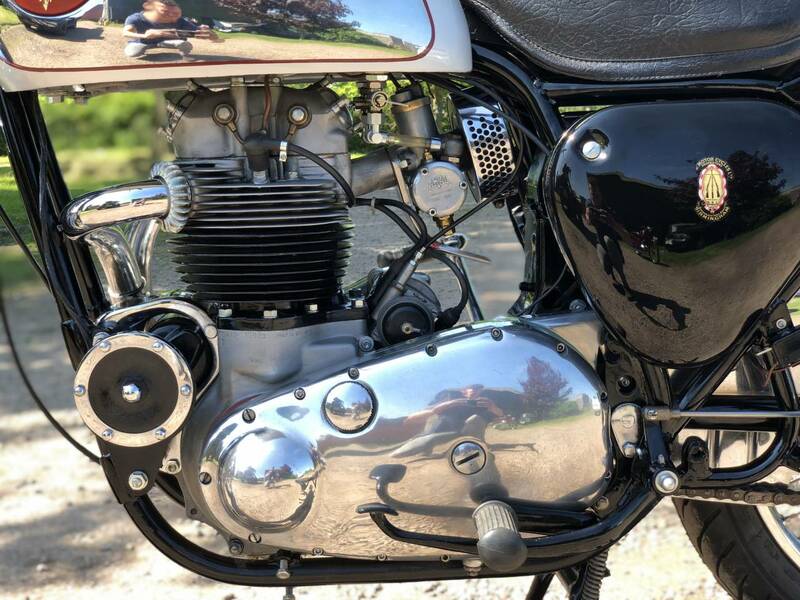 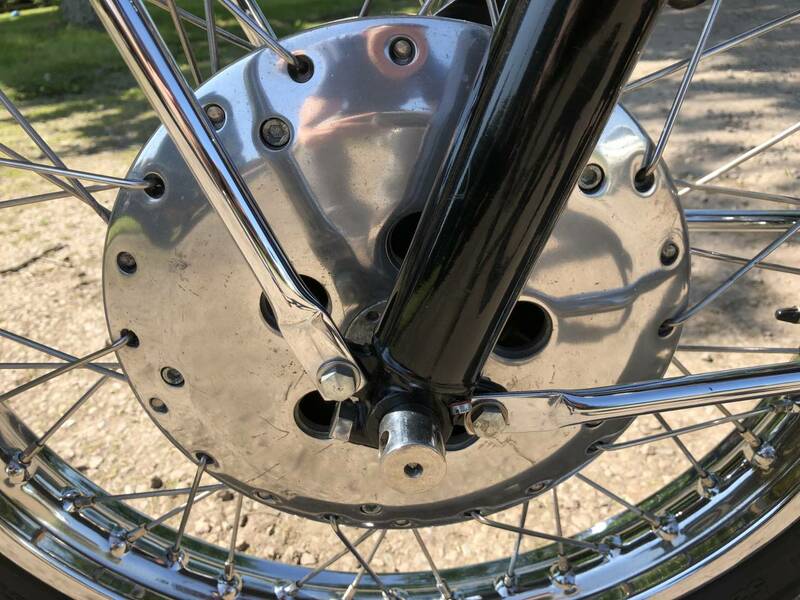 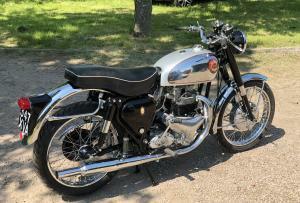 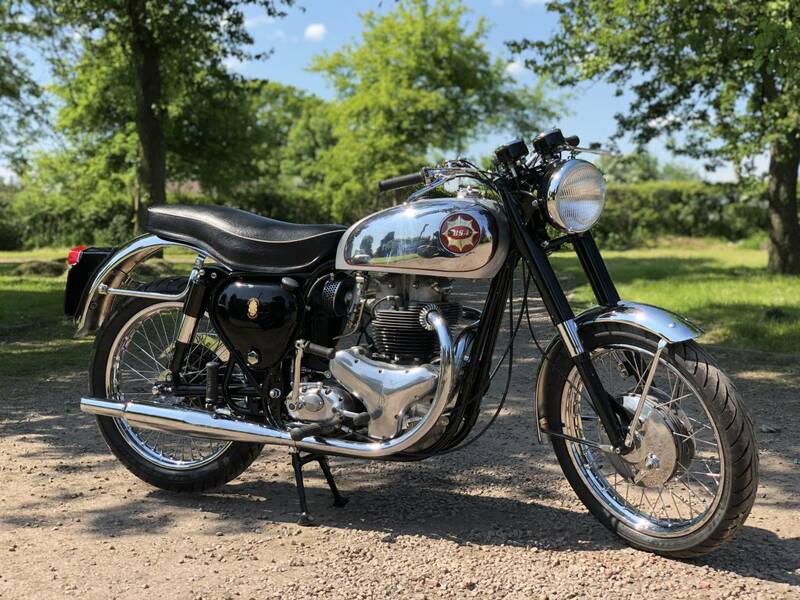 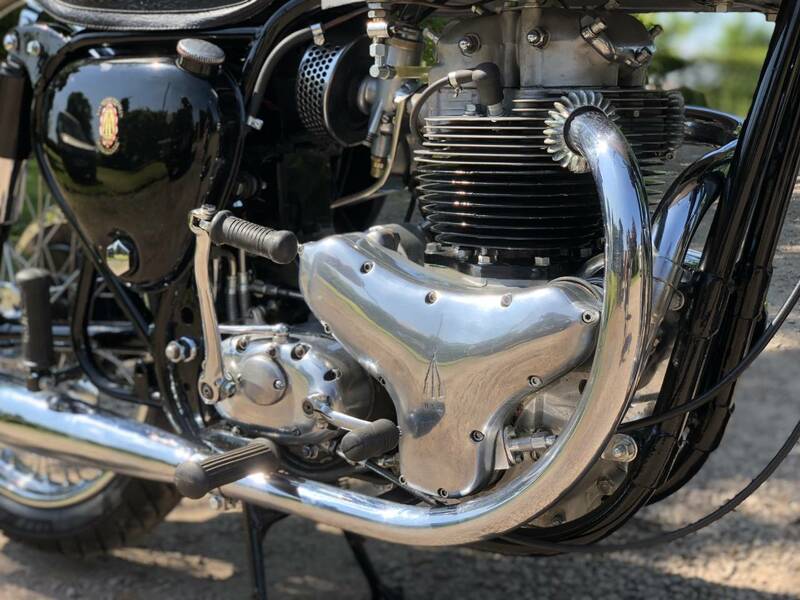 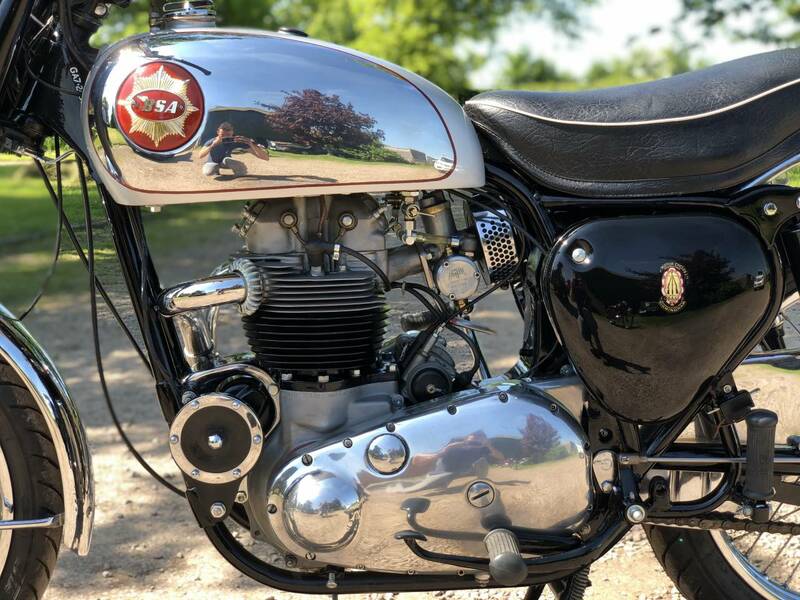 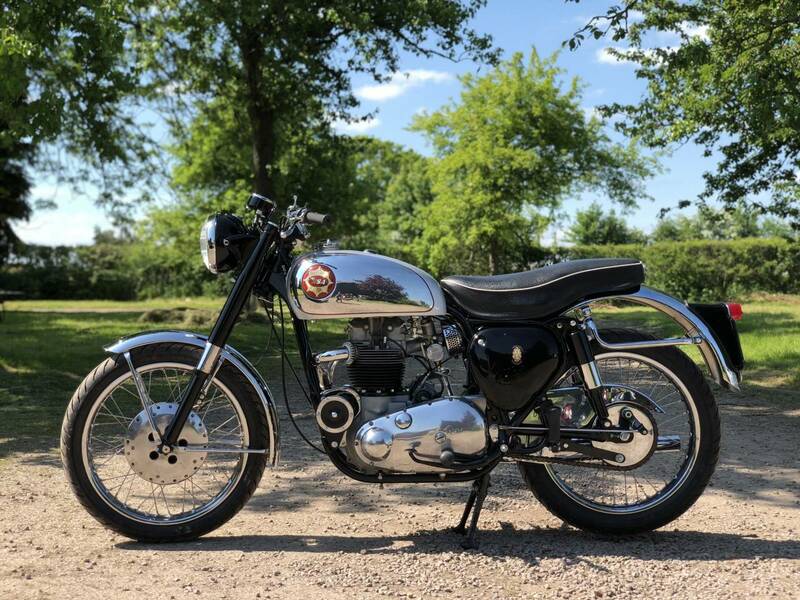 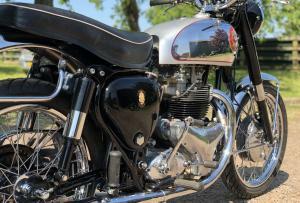 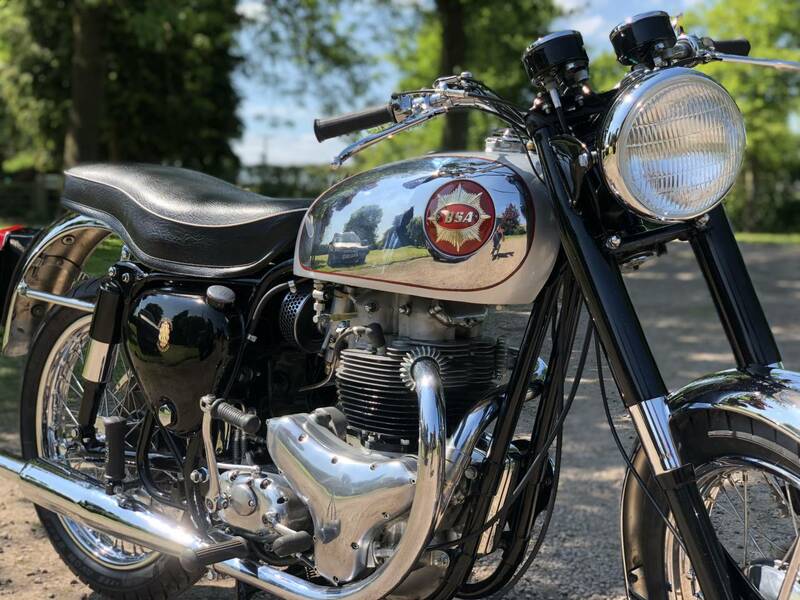 This Is A Fully Restored Example , That's In Superb Condition & Restored By A BSA Pre-unit Expert. 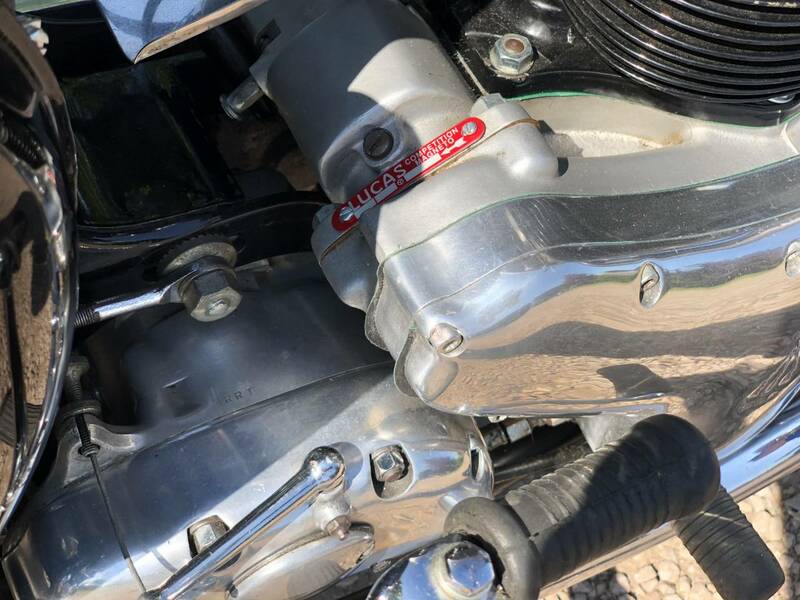 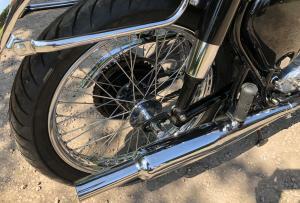 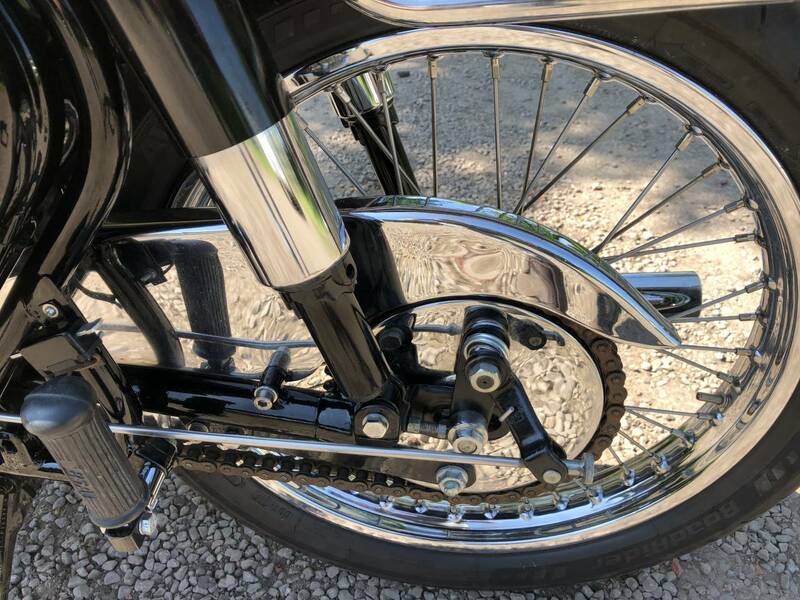 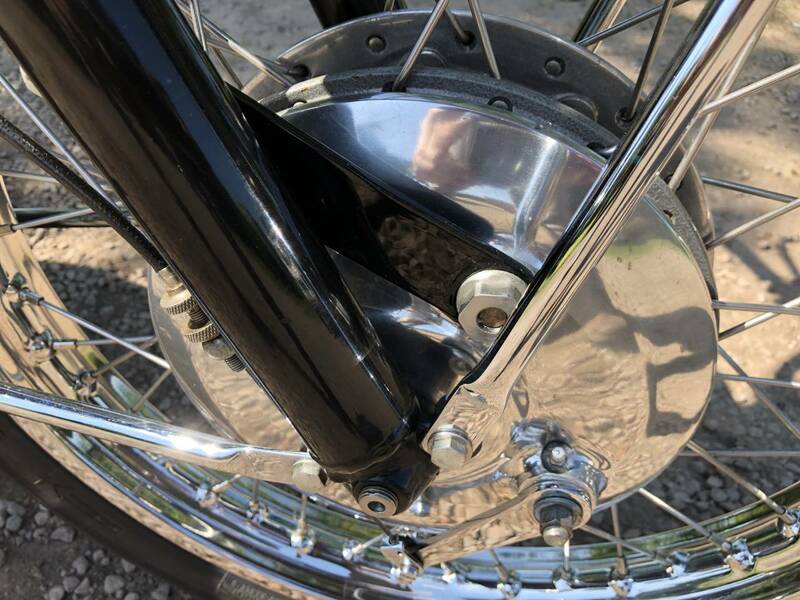 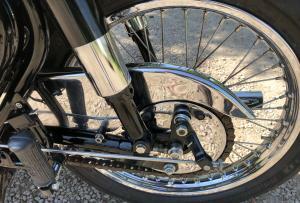 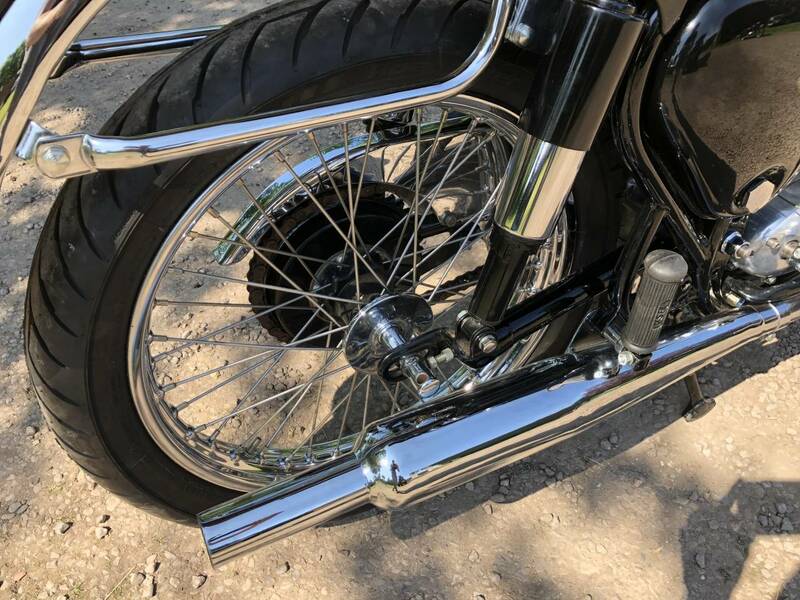 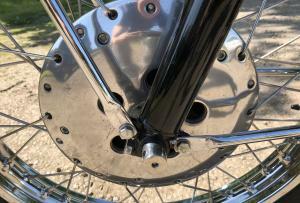 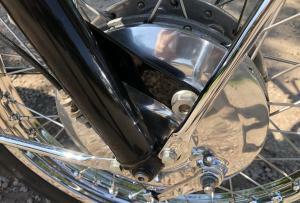 It Has The 4 Lug Frame ; Genuine Full Width Gold Star Front Brake ; Twin Chronometrics ; SS Rims & Spokes ; Competition Mag ; Chrome Guards ; Gold Star Tank & Exhaust ; Etc . 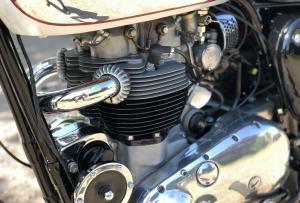 Has A Lovely Easy To Start Engine , That Runs Sweet & Smooth. 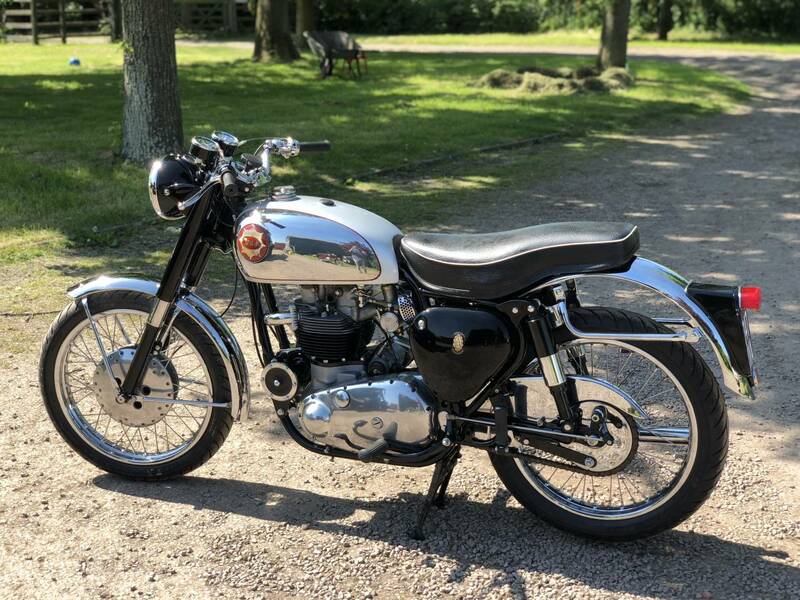 It Would Be Very Difficult To Find Another As Close To The Real Thing That's As Good As This Well Sorted & Beautiful Example. 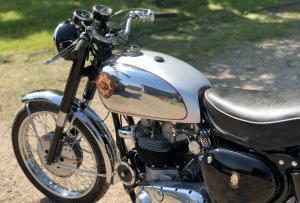 Great Fun & An Even Better Investment At Half The Real Mc Coy Price !